Sunshine Coast is at a distance of 1,295.3 km from Canberra. A non-stop drive between these two cities will take about 14 hours. But if you are moving, the journey can easily take much longer. 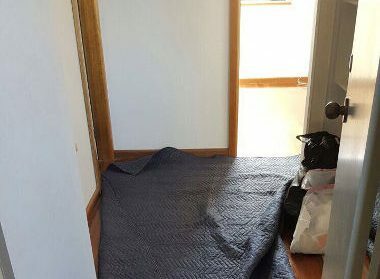 Hiring professional Sunshine Coast to Canberra Removalists is the one way to ensure this process is handled without a glitch. We at Fast Removalists provide commercial and residential removals at very competitive pricing. When you are moving, regardless of how big or small your home, you will find there are a number of items to pack, haul and load onto the truck. All your belongings have to be transported across state lines safely and then unloaded and unpacked at the destination. All these tasks can be extremely time-consuming and you may find that the process of packing itself takes several days on end. 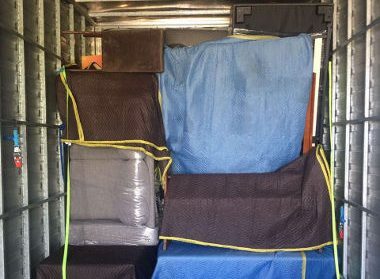 Safe removals Sunshine Coast to Canberra – For us, safety is a priority. Our highly trained team of removalists and a professional furniture removalist work meticulously and expertly. They make sure that every little item is packed well, hauled and transported safely. We ensure that the items and furniture don’t become damaged. While doing this, we also make sure that the doorways, stairways, and hallways in your existing and new home don’t get impacted in any way. The personnel are highly trained in packing and moving everything from delicate decor and art pieces to large and unwieldy furniture. Professional furniture removalist with insurance – We are fully licensed and insured. It means we take our job very seriously and that all the work will be carried out to industry standards. While safety is paramount and incidences of damage and loss of items are extremely rare, we have adequate insurance cover. This gives you peace of mind that your items will be safe when you opt for our solutions. Affordable Sunshine Coast to Canberra movers – When people are moving, they want the best solutions yet at the same time look for pocket-friendly services. As a customer-centric company, we always provide customers value for money. You can use our online removalist cost calculator to get an idea of how much the removal will cost. 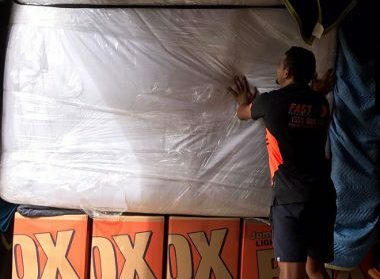 For a more accurate and detailed quote for the best removalists Sunshine Coast to Canberra services, feel free to contact us and speak with our experts about your requirements. They will provide solutions that meet your needs to the tee. 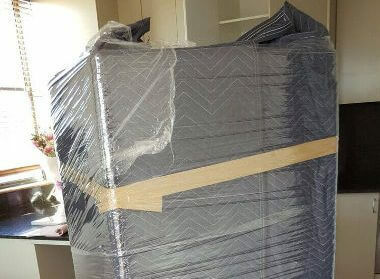 Perfect packing by cheap interstate removalists – Packing is one of the most important aspects of any removal. Every little item needs to wrapped individually and packed in boxes before they are transported. 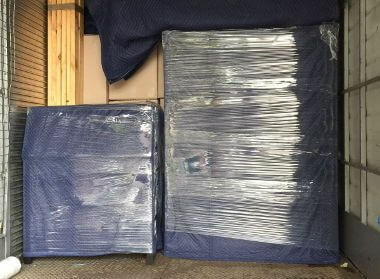 We use the best quality packing materials such as bubble wrap, packing tape, packing peanuts and furniture blankets. Boxes of different sizes will be used to ensure all your belongings fit snugly in them. Full-service – This option is ideal for people that have a number of professional and personal commitments and no time to manage any aspect of the move. As part of these services, we handle everything from wrapping and packing to hauling and transportation. At the destination, our high-quality Sunshine Coast to Canberra movers will unload and unpack everything. They will also keep all the furniture in the respective rooms as per your requirement. When you have professionals like us handling every little aspect of the move, it takes the stress off of your shoulders. Partial service – We have many clients that prefer to handle all the packing and unpacking but still need professionals to handle the hauling and transportation. Our partial moving services by safe interstate removalists are built to meet this need. It’s also a great option for clients that are on a tight budget and want to save on packing and unpacking costs. Cheap furniture removalist – If you want to move only a few pieces of large furniture, you can opt for these services. We will dismantle the furniture, wrap the individual parts carefully and secure everything in the removal truck. At the destination, all the furniture will be reassembled and placed in the rooms you need it. Commercial removals Sunshine Coast to Canberra – Commercial moves are entirely different from residential removals. The former involves moving of electrical and electronic equipment and there will be furniture and modular workstation components too. We have the skill and training to handle commercial moves of every scale and complexity. We are one of the most sought-after professional interstate removal companies for a reason. All the equipment from your office or retail space will be wrapped carefully and packed and labelled meticulously. Care will be taken to secure everything properly in the moving truck and you can rest assured that everything will be transported to the destination in the condition it is in. We have a team of best Sunshine Coast to Canberra removalists who can handle all kinds of moves easily. 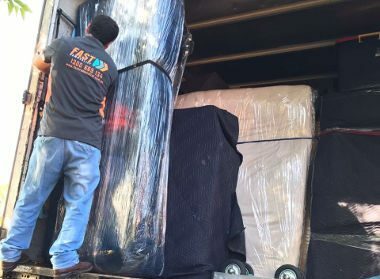 Whether you are looking for a cheap interstate backload company or want to move an entire home or office, we at Fast Removalists are the professionals to call. I was skeptical of the quality I would receive when I booked but I was tight for time and budget. Omar and Adam were absolutely fantastic. They called ahead and arrived on time. They wrapped and moved my furniture as if it was their own. They went above and beyond to ensure no damage to my things. They were friendly but fast in their work. I would definitely use them again. Thanks guys! My experience with Fast Removals has been first class - from the efficient Administrative Staff to the very pleasant, obliging, hardworking removalists. I cannot thank them enough for making this move so stress free.